These are the search results for "podcasts." Google now has its own podcast app called Google Podcasts. OK, there’s not much originality in that name but, then again, it is obvious what the app does and who produced it. If you have an Android phone, you can head over to the Play Store and obtain it right now. Google Podcasts is available free of charge. Is It Time to Try a Newsreader? Your paperboy just got smarter. This article will tell you how to easily read more information on the Internet in a shorter period of time. In short, you can use much of the Internet without all the clutter. I used to spend 2 or 3 hours per day visiting specific web sites over and over in an attempt to find new information. I regularly visited CNN.com looking for news, weather.com looking for the latest weather forecast for my home town, various stock market web sites, and, of course, genealogy sites looking for information about a variety of topics. The old method meant visiting each and every web site, one at a time, then waiting for the page to appear on my screen, then looking at menus to find the new information, waiting again for the new pages to appear, and so on. It was a tedious way to search for new information. Today I can accomplish the same thing within a very few minutes instead of spending hours searching for elusive information. Today I “subscribe” to CNN.com, weather.com, and several hundred other web sites. New information automatically appears on my computer’s screen whenever I want; I no longer have to open a web browser to visit dozens of web sites in search of new information. I only see new information. Older information that has already appeared on my screen earlier is not displayed to me a second time. Most of the advertisements are also not displayed although a few do manage to appear. The result is in the a form of a “custom newspaper” designed for me, containing new information about topics of interest to me. Aha! Seminars, Inc., welcomes Legacy Tree Genealogists as a new sponsor of The Genealogy Guys Podcast and the Genealogy Connection podcast, effective immediately. The Association of Professional Genealogists has a few hundred members scattered across England, Ireland, Scotland, Wales and the Isles. New social media channels have been created to bringing the chapter together online. The creators of the social media channels plan to use the channels to circulate webinars and podcasts localised to the region. The first podcast is posted on YouTube and on Facebook. It is a moderated discussion between Chris Paton [The Genes Blog/ @BritishGenes] and Lorna Moloney [Clans & Surnames @merrimanresearch]. A.J. Jacobs is a well-known author who has been mentioned before numerous times in this newsletter. See https://goo.gl/X5de4Z for the past articles about him. He was the host of the world’s largest family reunion, the bestselling author of “The Year of Living Biblically,” in which he attempted to follow the literal words of the Bible for a year, and “Drop Dead Healthy,” where he tried out every diet plan and workout. Now he has a new venture and it looks like and sounds like a good one. I listened to the first episode and was delighted to learn that Jacobs found criminals amongst the guest’s ancestors. Not small-time crooks, but true Chicago gangsters. New podcast series It’s About Time has launched online today (Wednesday 7th September), featuring narrator Sir Tony Robinson bringing stories from the past to life in the present. It’s About Time is produced by Ancestry, the global leader in family history and consumer genomics, and the first three episodes are available to listen to and download for free through iTunes and other podcast platforms. Smith. The first episode of the new podcast will debut the week of 27 June 2016. The Irish genealogy service always known as Eneclann is changing it’s name. It is being re-branded to the Irish Family History Centre. The company’s physical visitor centre is part of EPIC Ireland. This brand new website is the go to place for Irish Genealogy online, it will allow you to sign up to a whole new customer experience and one which we hope will help you with your own journey. Extreme Genes Family History Radio’s Roots Tech Wrap-up: Where is Family History Going Now? Fisher is the primary person behind Extreme Genes Family History Radio. His popular podcast has thousands of listeners all over the world. The latest episode features interviews with myself and with Mark Donnelly. I talked about recent experiences at the combined RootsTech and FGS conferences with about 22,500 attendees. Mark recently broke through a genealogy “brick wall” about a man who changed his name in the 1890s and his descendants had no clue as to his true name. Mark used DNA to find the man’s true name. That sounds impossible but listen to the Extreme Genes podcast to learn how Mark did just that. 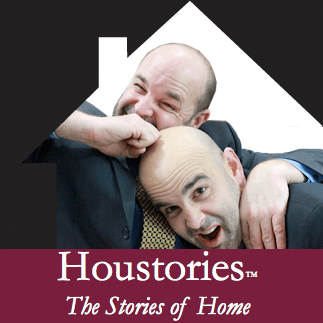 Houstory is a family owned business managed by a couple of brothers. Mike and Dan believe the things we care about have stories — whether they are houses or cherished belongings. Houstory has developed two products — The Heirloom Registry™ and the Home History Book™ archival journal — that help to protect and share those stories, providing lasting, accessible ways to make sure the stories and records of the things we care about are preserved and easily found by future generations. Lisa Louise Cooke’s Genealogy Gems is pleased to announce the launch of the FREE Genealogy Gems Book Club, which features great reads for genealogy lovers. Blaine Bettinger is a genealogist and a DNA expert with a Ph.D. in biochemistry with a concentration in genetics. 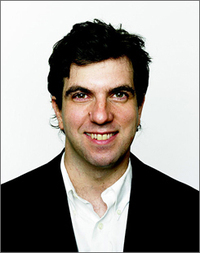 He is a frequent author and lecturer with a focus on DNA. He has now announced the creation of a new online how-to guide for genetic genealogy. The site will include short instructional how-to videos for beginners, as well as presentations and webcasts for the advanced genealogist.